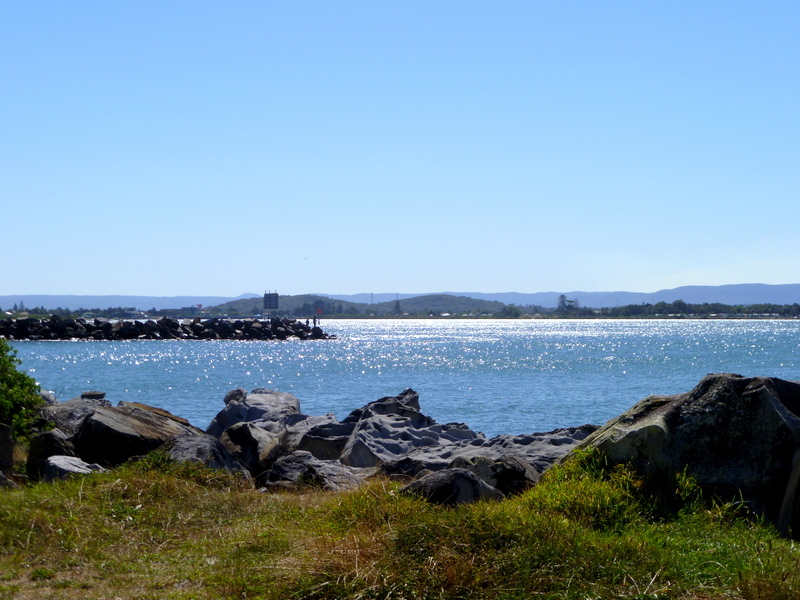 Lake Macquarie is Australia’s largest coastal salt water lake, covering some 110 square kilometres. 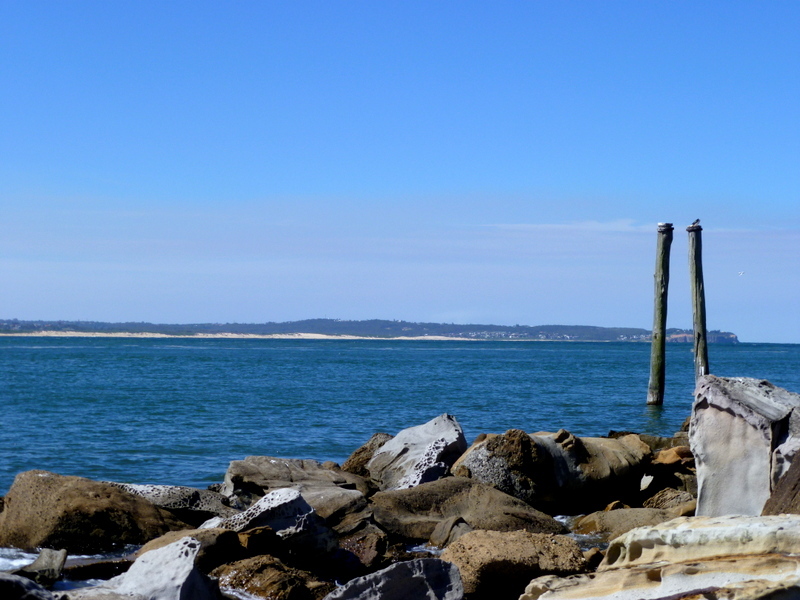 It flows out to the Tasman Sea via the Swansea Channel and Lakes Entrance, passing Reids Reserve on its journey. 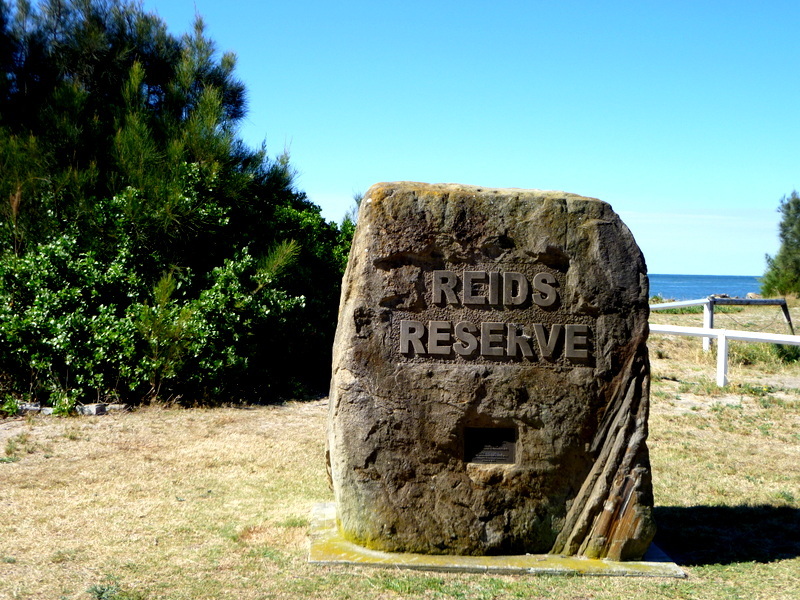 The reserve was named after Captain William Reid, who, way back in 1800, sailed into the entrance to the lake instead of the Hunter River where he was due to collect coal. In fact, for a number of years the lake was known as “Reid’s Mistake”, until it was renamed in honour of Lachlan Macquarie, Governor of NSW. Daddy Ickle suggested we plan a visit to the reserve en famille last Sunday. After aiming for a morning get-away, we eventually headed out of the door at around 4 pm. Not bad going! And we took with us all the paraphernalia needed for a toddler and baby. So you pack for a week-long holiday, and then go up the road for a couple of hours. The reserve occupies a beautiful spot and the weather really showed it in the best light: water glistening in the sunshine, trees providing some welcome shade, and the rocks and sand warm underfoot. The whole just slightly marred by the onslaught of bush flies blown in from their breeding grounds by the hot westerly winds – aargh! 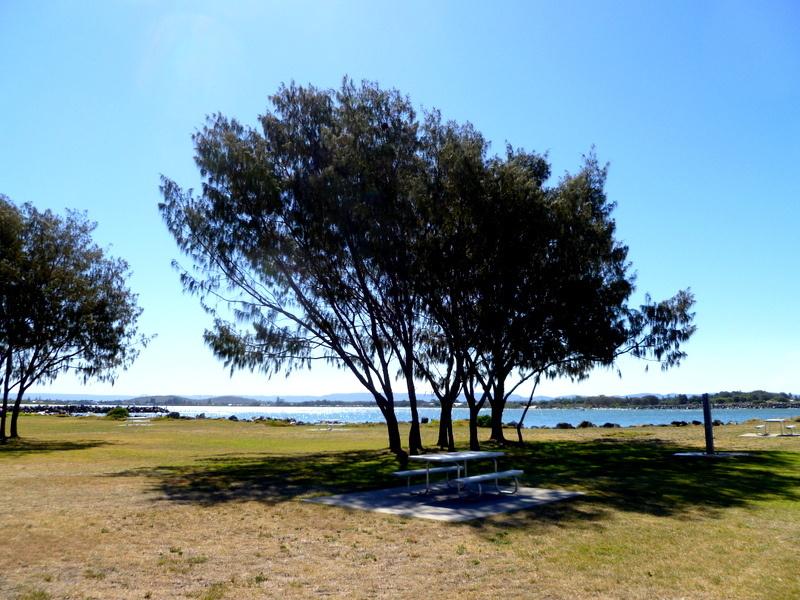 The site comprises a generous grassy area, the ubiquitous Aussie outdoor barbecue, picnic tables, an amenities block and a small, very basic playground. But hey, who needs swings and slides when you can rock hop, dodge the waves, spot a giant crab, and play in the sand on the nearby beach? Ickle had a ball, with her daddy alongside her, while Baby Lil and I pottered about. 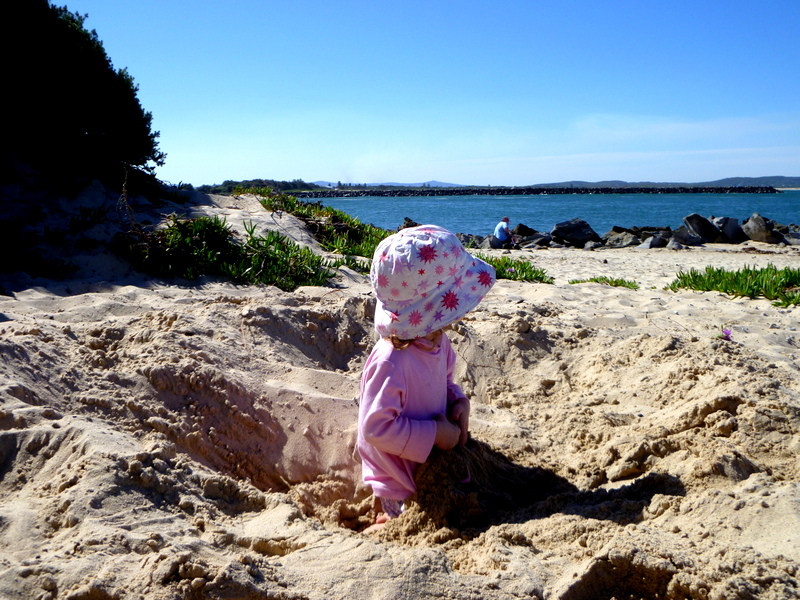 I even managed to bulldoze my way along the sandy track to the beach with her stroller. Ah, the sea and sun where the lake meets the ocean. What a pleasant way to spend an hour or so on a Sunday afternoon. This entry was posted in Close to home and tagged bush flies, Governor Lachlan Macquarie, Lake Macquarie, Lakes Entrance, Reid's Reserve, Swansea Channel on November 7, 2014 by Laura.